Many companies and non-profit organizations block access to social networking sites like Facebook, YouTube and Twitter with a corporate firewall. We expect hourly or “non-exempt” to limit personal social networking to break times. Some work units may create additional expectations. Medical personnel probably shouldn’t be on Facebook in public areas of the hospital, for example, even while on break. Doing so could give patients’ families a mistaken impression of inattentiveness. Salaried or “exempt” employees have a bit more flexibility, but the principle holds: Get your work done. We recognize that social networking sites may potentially improve productivity when used properly, and that Facebook isn’t the only way an employee could potentially waste time. We view lack of productivity as a management and leadership issue, not a social media one. We’re fortunate that our leaders take this enlightened approach and demonstrate trust in our responsible use of social networking tools. It’s up to us to validate that trust. Why doesn't Mayo Clinic block employee access to social media during work hours? Looking at social media during work hours? Make sure you're getting your work done, too. 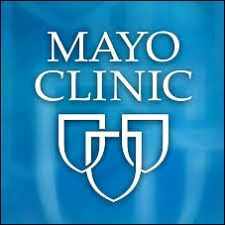 Unclear about Mayo Clinic's policy about using social media at work? Maybe this will help.